It’s been a year since the tragic event occurred at Route 91 Harvest Music Festival. 365 days since 58 lives were lost and thousands more were forever changed. For many of the survivors, it doesn’t feel as though that much time has passed. For some, the year has been a rollercoaster of emotions, with months of highs and lows. As time has inched closer to the anniversary, some of those that were affected by the shooting have found different ways to battle the fear and trauma from taking over their lives. Rachel Sheppard, who was shot three times in her chest, breast, and abdomen went through four surgeries and one procedure to remove the bullets. Sheppard said that in terms of the recovery process, there’s been good and bad days. She continues to have chest pain, lower back pain and stomach issues. While doctors haven’t given her a reason to believe anything could get worse, she still remains cautious. To battle that fear, Sheppard said that she tries to remain busy. In August, she got married after being with her boyfriend for 5 years. The wedding took place in Nebraska, where her husband is from. A time that kept Sheppard busy, which she said she thinks helped her mentally. Sheppard said that social media doesn’t help with everyone posting about the events that transpired on Monday. She said that following social media accounts like the survivor pages on Facebook is a toss-up because the benefit of those pages is that you’re able to stay up to date on everyone or see any news updates. The downside is that right now people are in Vegas posting, memories are popping up and the memories of what happened are out in the open. “I think you just have to take a break from your phone and live in peace for a minute,” Sheppard said. 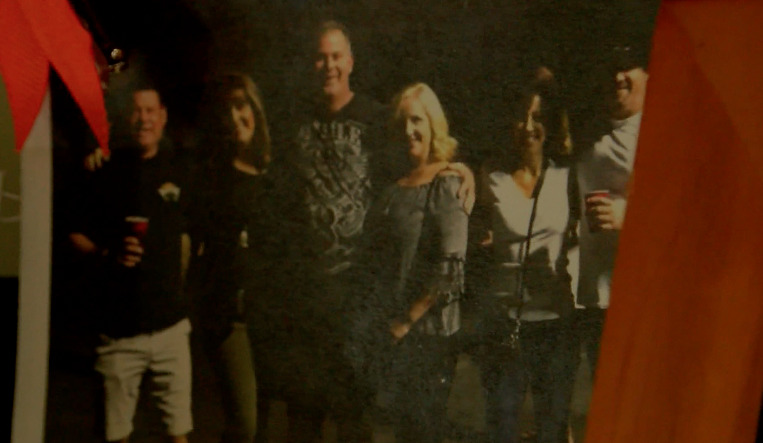 Laurie Beaton, who lost her husband, Jack on that night said that the first six months following the shooting were extremely difficult, and in the last week or two, as she has been planning a trip to honor him, it's grown difficult again. Jack was the friendliest person around according to Laurie. He made friends with everyone he met and he always put others first, especially Laurie. Laurie said that he was always there to give her support, whether she was nervous about a meeting at work, or anything of that nature, he would always be there with a positive and uplifting message. “I just knew that I had a partner in him,” she said. That partnership began when Laurie was in high school. Jack, who was working with a friend of Laurie’s had introduced them to one another, and the rest was history. 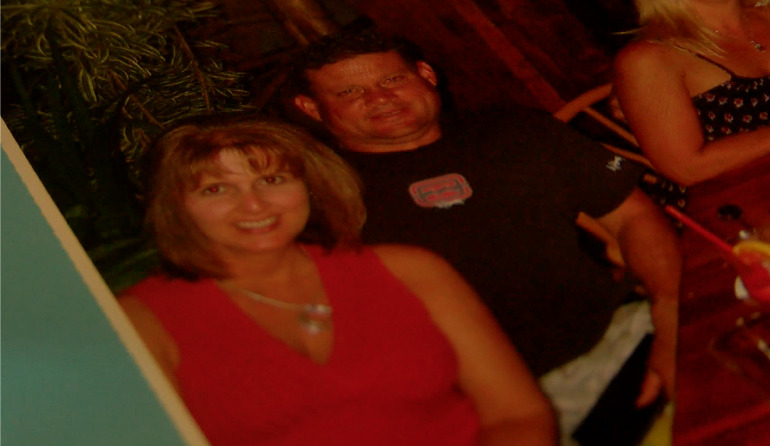 Jack, Laurie, as well as their four friends were all together during the shooting. In the moments following the shots, the three men covered their wives on the ground to protect them. In his final moments with Laurie, Jack shared only words of love. “As he got on top of me and laid on top of me, he said ‘I love you Laurie’ and I said ‘I love you too Jack,’” she said. Following his passing, Laurie said that there were days where she struggled with getting up, but she knew that she had to be there for her children. The three couples have always been close. 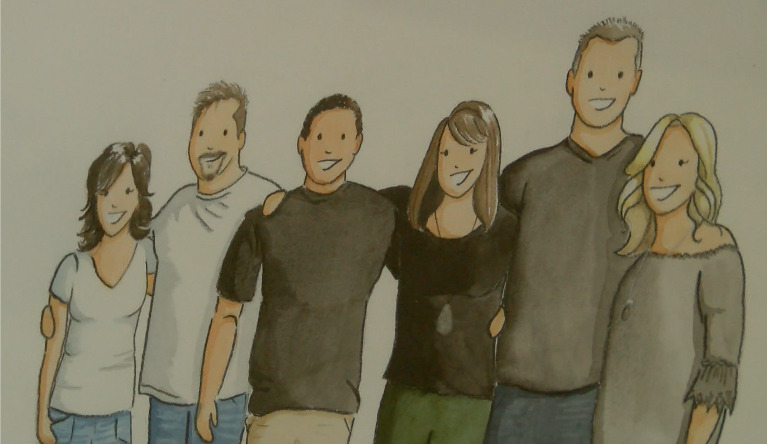 Their families grew up together, they’ve taken vacations together, their kids have all grown up together, and this weekend, they planned a trip to honor Jack, together. Laurie said that they decided that traveling to Vegas this year would be too difficult and that they wanted to be with one another. This weekend they spent the time traveling to an out-of-town hockey game for one of the kids, which Jack loved to do. They also made their way down to Huntington Beach/Newport Beach to visit some of Jack’s favorite spots, listen to the music he loved and celebrate and remember him together. While this weekend will be extremely difficult for all of them, Laurie hopes that it will allow them to heal in some way. Strong support systems like that of Laurie and her friends are often a commonality between those who were affected by the shooting, For those that narrowly survived, it can be a way to live their lives to the fullest. For those who lost a loved one in the tragedy, it can be a way to honor them. When Bill Bob Mason and Regina Harris first got engaged two years ago, they had made plans to be married this year during their favorite weekend ahead of the annual Route 91 Festival. However, the shooting haunted those plans. With time to reflect and heal, they’ve had a change of heart and now, exactly one year after the couple almost lost their lives and in the place that honors 58 people who did, Billy Bob and Regina will get married. Today, the couple will be married at the Healing Gardens on the Vegas strip at 10:05 a.m. to commemorate the lives that were lost at 10:05 p.m.
“Today we live our lives not just for us but for other people as well because they don’t get to be here to live it, so it's part of taking this day back and taking it back with a vengeance,” Regina said. 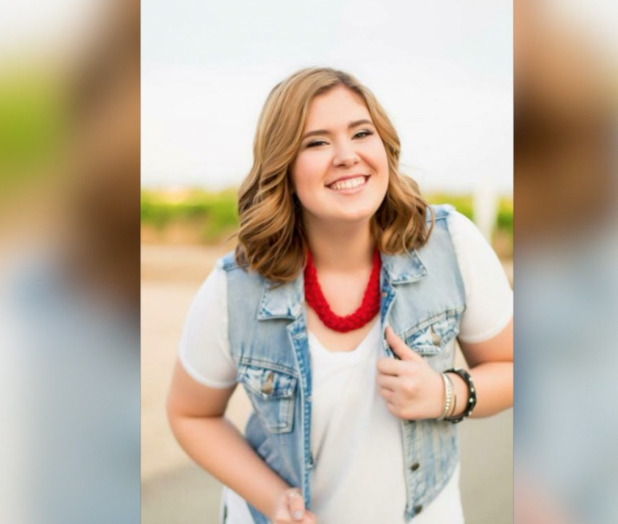 Among the number of people traveling to Vegas to honor those lost will be the parents of 20-year-old Bailey Schweitzer, who was among those killed that night. Bailey, who was born and raised in Bakersfield was once referred to by her mother as the glue that hold their family together. She was the youngest of the children, and her father Scott said that her passing has left a giant hole that they are still trying to fill. 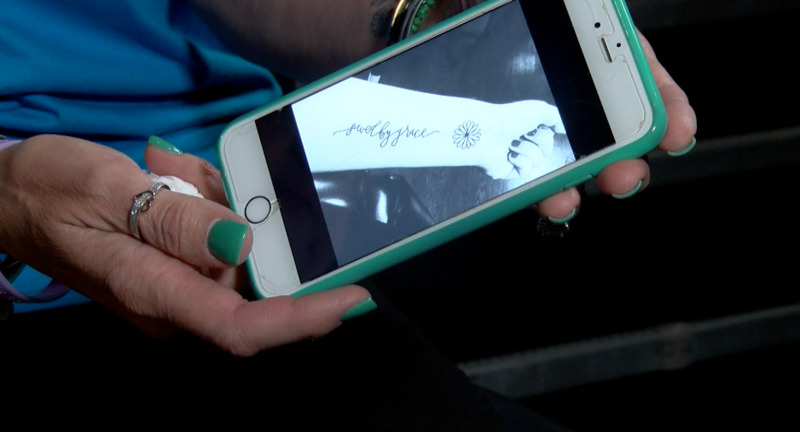 Before Bailey passed, she had gotten a tattoo with the words ‘Saved by Grace’ on her arm. Just days before the one year anniversary, her mother Crissy decided to get the same tattoo, by the same artist in the exact same place as her daughter. While this time has been extremely difficult for the Schweitzer's, they've been able to find solace in faith. They say that they’re able to gain strength from the Valley Bible Church. “Sometimes, I’m in awe that I’m putting my feet on the floor in the morning and I don’t know where it’s coming from other than her, from God sending her to and letting us feel her,” Crissy said. Their pastor, Ron Vietti has been with them, holding their hand, step-by-step. “For the life of me, I don’t know how anyone could go through this without the help of God,” Vietti said. Pastor Ron said that Bailey’s funeral service is one he thinks of often, he said he has never had a funeral affect him any more than Bailey’s did. “We had a bird get in the sanctuary before the funeral,” Vietti explained. “We could not get him out and we tried and tried and every time we would come to a place in the funeral, the bird would land on her picture on the big screen and would stay there. The minute the funeral was over, the bird flew out on its own, so we all felt like it was a sign from God. Life without Bailey is one that Crissy and Scott never expected. Scott said that it would be easy for them to quit or give up, but he knows that his little girl would want him to live. “The one comforting thing that we got out of this is that we know that our girl is in heaven,” Scott said. While each and every day may be filled with a whirlwind of emotions for those affected by the tragic events on October 1, 2017, it's clear to see that love will continue to carry them through every up and down.